As cultures formed and evolved in pre-Columbian South America, Anadenanthera became one of the most widely used shamanic inebriants. Anadenanthera: Visionary Plant of Ancient South America is more than a comprehensive reference on shamanic visionary substances; it is a useful tool for archeologists and pre-Columbian art historians. This thorough book examines the ritual and cultural use of Anadenanthera from prehistory to the present, along with its botany, chemistry, pharmacology, anthropology, and archeology. The earliest evidence for the use of psychoactive plants in South America is provided by remains of seeds and pods recovered from archeological sites four millennia old. Various preparations were derived from it with the intent of being a shamanic inebriant. Inhaled through the nose, smoked in pipes or as cigars, and prepared in fermented drinks, Anadenanthera served a central role in the cultural development of indigenous societies in South America. Anadenanthera: Visionary Plant of Ancient South America explores the full spectrum of information gleaned from research, covering numerous archeological sites in the Andean region, as well as discussing Amazonian shamanic rituals and lore. Analyses of the artistic expressions within the decorations of associated ceremonial paraphernalia such as ritual snuffing tubes and snuff trays are included. The text is richly illustrated with photographs and images of decorated ritual implements, and provides a comprehensive bibliography. 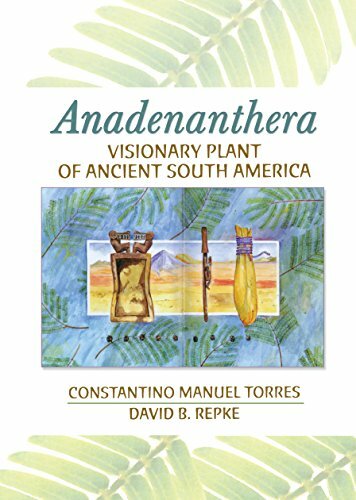 Anadenanthera: Visionary Plant of Ancient South America is a thorough, useful resource for archeologists, anthropologists, chemists, researchers, pre-Columbian art historians, and any layperson interested in pre-Columbian art, archeology, or visionary plants.